June is National Safety Month, and this year’s theme is Keep Each Other Safe. 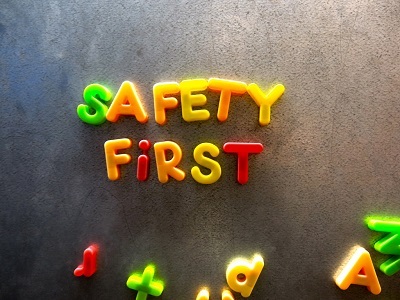 Learn how you can keep yourself, your loved ones, and others around you safe with these tips. In the United States, one-third of all traffic fatalities are the result of alcohol-impaired driving. While the legal alcohol concentration limit is 0.08%, the truth is that any level of alcohol has a significant effect on a driver’s mental and physical functions. If you are planning on drinking, be sure to have a designated driver; or call a taxi or a sober friend for a ride, and make plans to do so before you start drinking. Do the same for others who have been drinking, and if you see an impaired driver on the road, contact your local law enforcement. When you don’t get enough sleep, your motor skills—and your motor driving skills!—are severely affected. Your reaction time lags, and in some cases, you might actually fall asleep for a few seconds while driving. This may not seem like a lot, but at 55 mph you have already driven the length of a football field! The NHTSA reported that between 2005 and 2009, an average of 83,000 crashes were related to drowsy driving. The best solution in combating drowsy driving is seven to eight hours of rest each day. Caffeine and energy drinks may seem like a quick fix, but aren’t reliable. If you notice yourself feeling sleepy behind the wheel, pull over to a well-lit parking lot or rest stop to avoid collisions. If possible, avoid driving if you are taking medications that make you drowsy. In 2015, distracted driving factored into nearly 3,500 traffic fatalities. The most common distraction is a cell phone or smartphone—and not just texting! Conversation using hands-free phones, and speech-to-text programs still affect your driving, because your attention is divided between your present situation (driving) and somewhere else (the person on the other end of the line). Massachusetts law bans the use of cell phones, both hands-on and hands-free devices, while driving. In addition to alcohol- and cell phone-related driving laws, obey other traffic laws. Speeding causes almost 30% of all fatal crashes. Being mindful of the speed limit and adverse weather conditions can save lives. So can wearing your seat belt: nearly 50% of all people killed in U.S. automobile crashes in 2015 were not wearing seat belts, and in Massachusetts, that number reached up to 64%. An estimated 13,941 lives per year are saved by wearing a seat belt. It’s worth it to be safe! Be Visible. Cross at designated crosswalks and intersections, rather than cutting across the road at the earliest convenience. At night, wear light-colored and/or reflective clothing, and stay near well-lit areas. Be Alert. Much like when driving, alcohol and cell phone usage can distract you as you walk, slowing your reaction time and increasing your chances of stumbling into traffic. Keep your electronic distractions, such as smartphones and earbuds, to a minimum while walking. Be Cautious. Walk on sidewalks whenever available; if not, walk on the shoulder of the road, facing traffic. This way you will be able to see a vehicle if it is heading straight at you. Even if you are crossing at a crosswalk, pay attention to oncoming drivers; they may not see you, so you had better see them! Part two of this post covers safety at home, so stay tuned! If you or a family member has been injured in an automobile accident as a driver or a pedestrian, you may be entitled to substantial compensation for your hardship and losses. Our experienced Burlington car accident lawyer at DiBella Law Offices, P.C. has been fighting for the rights of injury victims in Massachusetts for many years. Give us a call at (781) 916-9932 to schedule a free consultation.